12/2/2019 – The funding will be used to open up more inspection centres in the Greater Jakarta area and other major Indonesian cities. 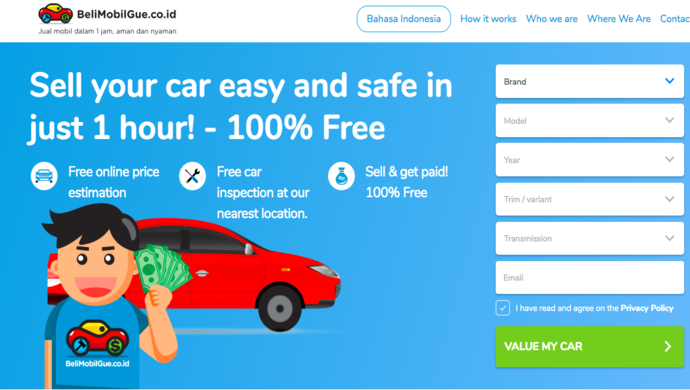 BeliMobilGue meaning BuyMyCar in Indonesian is an auto startup that focuses on the used-car market. 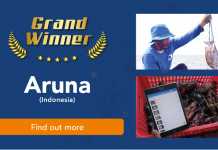 Co-founder Rolf Monteiro recognized Indonesia’s potential as the biggest car market in Southeast Asia and launched the eBay esque platform for individual car owners to sell their used cars to verified dealers. The app was officially launched in April 2017 as a joint venture between Monteiro, Berlin-based Frontier Car Group, an independent venture capital firm Intudo Ventures. Car inspection is paid by the winning bidder while the startup takes zero cut from the deal. Sellers will get immediate payment after a deal is sealed via bank transfer. The car is then held at the company distribution centre awaiting for buyer’s pickup. 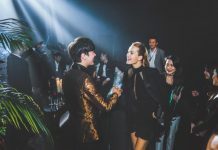 With other players like iCar Asia in the market, Monteiro is looking to first achieve 1% market share and once that target is achieved, the startup is aiming for a 10% market share in Indonesia’s auto sales space. 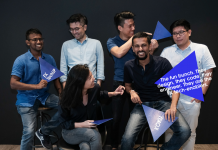 BeliMobilGue had previously raised US$3.7 million in a pre-Series A round led by Indonesia’s Intudo Ventures, joined by Amand Ventures, Tasman Fund, and Digital Garage.